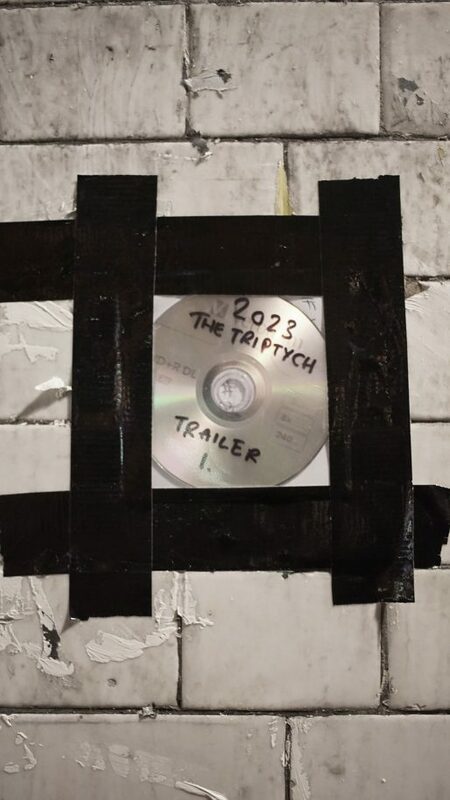 2023 – The Triptych is a film projected onto three vertical screens. It is not a dramatisation of the book 2023 but a response to it. It has no dialogue or musical soundtrack. It lasts for 69 minutes and can be streamed to mobile phones or projected onto large cliffs. 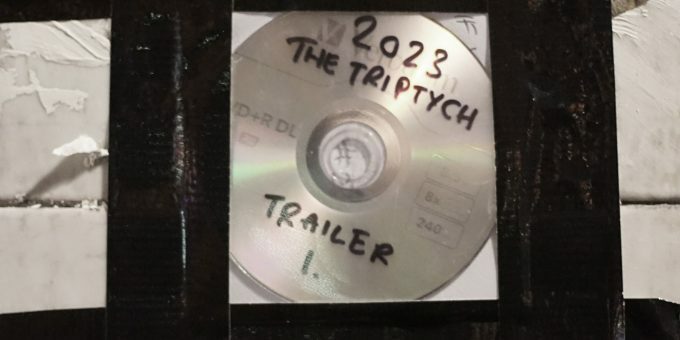 If and how this trailer ties in with the upcoming book remains to be seen – like previous communications posted by The JAMS this one again raises more questions than answers. Furthermore, most channels of communications went offline after the trailer got distributed, including Jimmy’s twitter account and website. For now the K2 Plant Hire Ltd. website remains the only source of information though there have been no new posts in quite a while now. We were under the impression that it would be made available during or after the “2023” events, but so far it remains unreleased. We will post it on this page once it eventually becomes available.